Using cutting-edge sustainable technology, scientist Gary Cass (BSc Horticulture 1992) is pioneering a plant-free alternative to cotton. As he explains to Uniview, it all began with a simple mistake more than 20 years ago. Gary Cass grabs my attention as soon as I meet him. “Do you know how much water it takes to make one pair of cotton denim jeans?” he asks, as he welcomes me to his lab in Perth’s Technology Park. It seems I’m not alone in this, and his answer – 8000 litres – shocks me. Gary explains that cotton production uses 2.5 per cent of the world’s arable land and requires huge quantities of water, pesticides and fertilisers. “It’s a problem affecting us as well as other countries – you only need to look at what’s happening in the Murray-Darling River system here in Australia to see that,” he says. In fact, dressing ourselves has given birth to one of the most polluting economic activities on the planet: the fashion industry generates 1.26 billion tonnes of greenhouse gas emissions a year, more than the amount created by international flights and shipping combined. Our ‘disposable mentality’ has us wearing more clothes and for shorter times, and it’s estimated that, worldwide, a truckload of clothing is thrown away every second. The majority of it is made from synthetic fabrics like polyester, which don’t biodegrade and end up burned or in landfill. Cotton and other fibres like bamboo, which are based on plant cellulose, may be biodegradable but the process of growing, farming and turning them into fabric isn’t necessarily much greener. Today, Gary is working on a process to make more environmentally sound clothes, although as he took the first steps on his journey more than 20 years ago, he couldn’t have known this would be his destination. 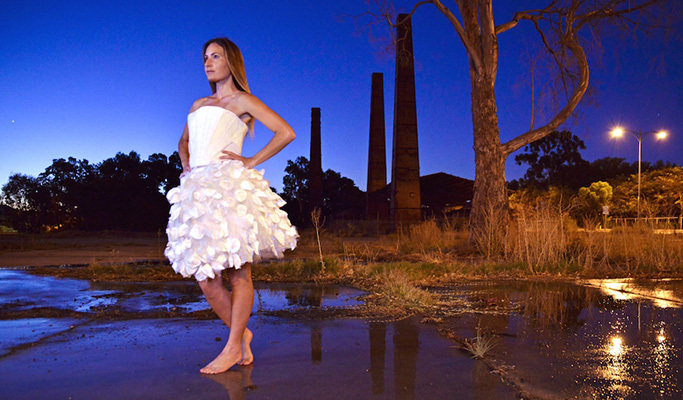 Making dresses out of alcohol - this dress is made out of beer 'waste'. It all started with a humble error. While he was away, oxygen seeped in to the vat, feeding bacteria that then formed a thick skin of slimy sludge on the wine. “To put it in its simplest terms, the bacteria had drunk my wine, converted it into vinegar and spun me out fibres,” he smiles. Imagine it like a silkworm, spinning out silk, but in this case it was a microscopic bacterium spinning out cotton-like fibres. He describes it as a lightbulb moment, although the switch wasn’t to flick fully until 10 years later when he was working with UWA’s Institute of Agriculture. There, a chance conversation with SymbioticA resident artist and fashion designer Donna Franklin about her interest in unconventional clothing reminded Gary of the slime he’d unwittingly created. The encounter led to a collaboration that saw the pair ‘grow’ a unique bacterial fermented dress. “Let’s just say Gary the scientist and Donna the artist came together as we attempted to redefine woven material production,” Gary says. Arts-science collaborations come up with some amazing opportunities and inventions, the way you can use different thoughts and ways of thinking. There’s a whole philosophy I have that creativity is just as important is numeracy and literacy. The cross-faculty project, which combined arts and science, became the talk of fashionistas and environmentalists across the globe. The early garments were brittle, needed to be wet to be worn and came with their own particular smell, which Gary describes as “a bit vinegary, a bit alcoholic and a lot like a very long night!" But as he and Donna took these first biological dresses out into the world, they were blown away by the number of people who were interested in wearing them. Gary Cass sorting Nullarbor fibres. Further developments by the team found the Acetobacter bacteria converts ethanol and sugars into a biodegradable and solid cellulose, cotton-like fibre not only in wine but also beer and sparkling wine. Eventually a dress made from the beer-fermentation process went on display at the 2015 World Expo in Italy’s fashion capital of Milan, before the team created its ‘Sparkling Couture’ dress from sparkling wine in 2016. 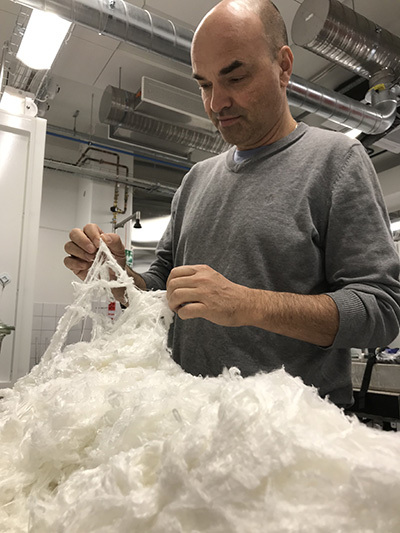 Since then, what became known as Fermented Fashion has evolved into the tech startup Nanollose Ltd, which made its debut on the Australian Securities Exchange in 2017, raising $5 million from investors to commercialise its plant-free cellulose fibre. Nanollose is using this investment to better the strength, durability and washability of its fibre, which is now soft to touch, and looks and feels like cotton or bamboo. Pilot trials using the waste streams from brewing and other food industries are in the planning stages. One of the company’s goals is to improve the sustainable supply of cellulose into the rayon market. The bubble effect. This stunning design crafted from fibre made with champagne 'waste'. “A lot of people don’t realise that trees are smashed into pulp and then into rayon fibre,” Gary explains. 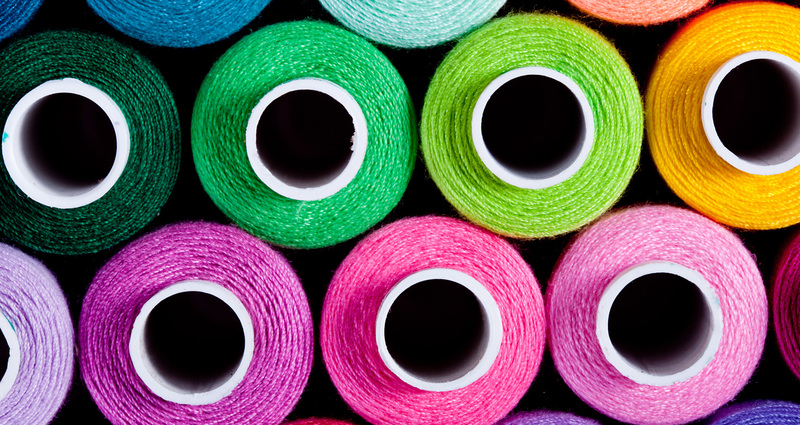 It’s why we call our product plant-free and tree-free, because we need the world to realise that they are cutting down trees and forests to produce viscose and rayon fibres.